£15 per person. Tickets are limited and only available in advance. Good condition, trolly, two sails, £500. Contender 441 For Sale. Old Boat but still stiff. Milanes Centreboard. Wavelength Sail in reasonable condition. Combi. New cover last season. Good starter boat. £650 Call Tim Grigsby (07792) 842425. Are there any cat sailer’s wanting a lift to Carnac 2008, unfortunately Pete Sherwin has family commitments and has had to bail out. Even if you just want a jolly there’s room in the camper with Wayne and myself. Regards Struan. The weekend racing saw some difficult conditions however the racing was exciting, it was very gusty and challenging however Saturdays race was won by Satisfaction, 2nd Windrush, 3rd Sandstar ( new boats can be beaten), 4th Apollo, and very very far back in last place was Squiffy. Sundays Benfleet shield had very mixed conditions, Thompson/Hopper (Sandstar) were top in the Sandhopper fleet coming 2nd overall, well done boys, Satisfaction was second and Sandpiper was third, Apollo had her third collision of the year ( out of four races) and Windrush had 25 foot of plastic wrapped around the keel to help slow things down, pearl threw away a great 3rd place to finish 21st ??? and Squiffy made a better show finishing 4th. The Sandhopper Nationals are not far away so i’m sure the current racing fleet circa. 12 at the moment will swell over the coming weeks as 22 are booked from TBYC to attend at the moment, many thanks to those who have lent their Sandhoppers to others to help make the event such a success. We are pleased to report that the Men’s showers are now in operation, although I did not take part members reported the showers provided lots of Hot Water and were a great success. 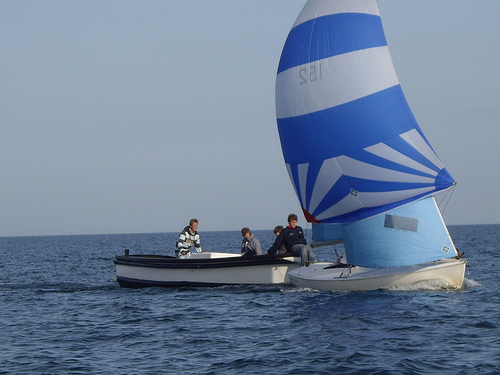 So far we have 22 Sandhoppers from TBYC going to the Nationals on the 31st may, with the other boats from MBSC and a few more from us we could get 30.
anyone care to swap? as I’ll be at an open. I require a Duty Swap (Helm SS2) for Saturday 10th May Spring Sat 7 due to the fact that I will be in Phwelli for the Contender Nationals with Chris Boshier. (I’m not sailing). Would be greatful for a swap for any of the following dates. April – Sat 19, Sat 26. May – Wed 28, Thurs 29. June – Wed 11, Thurs 12, Sat 21, Fri 27, Sat 28. July – Thur 10, Fri 11, Sat 19, Sat 26. Aug – Mon 11. Sept – Sat 6. Oct – Sat 4, Sat 11, Sat 25. Nov Sat 1, Sat 15, Sat 29. Dec – Sat 13. All other dates I am sailing somewhere.